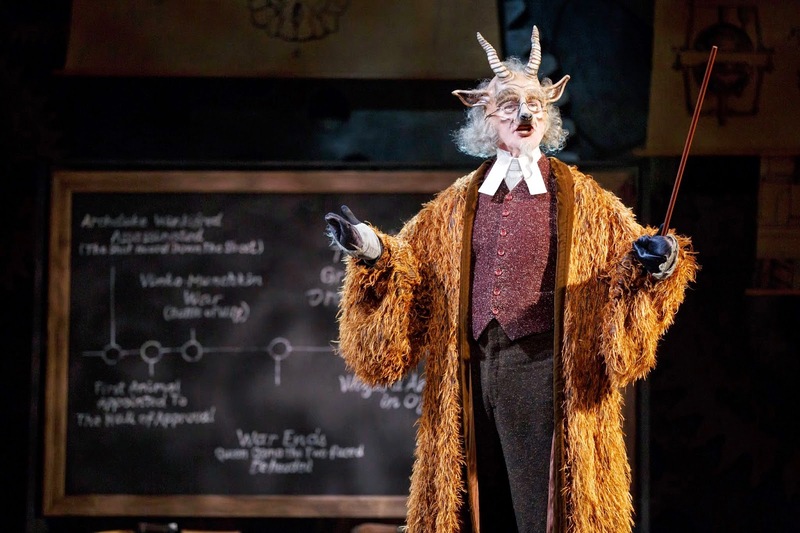 It's rare, in my experience, that a movie, book or stage performance suggests a behind-the-scenes story that offers an alternate reality to an already wholly loved tale in such a magnificent way as does Wicked. That Wicked has been seen by 42 million people around the world in only 11 years and that the actors, costumes and set design have been bestowed Tony Awards tells volumes of just how wonderful Wicked truly is...and I wholeheartedly agree with that assessment! 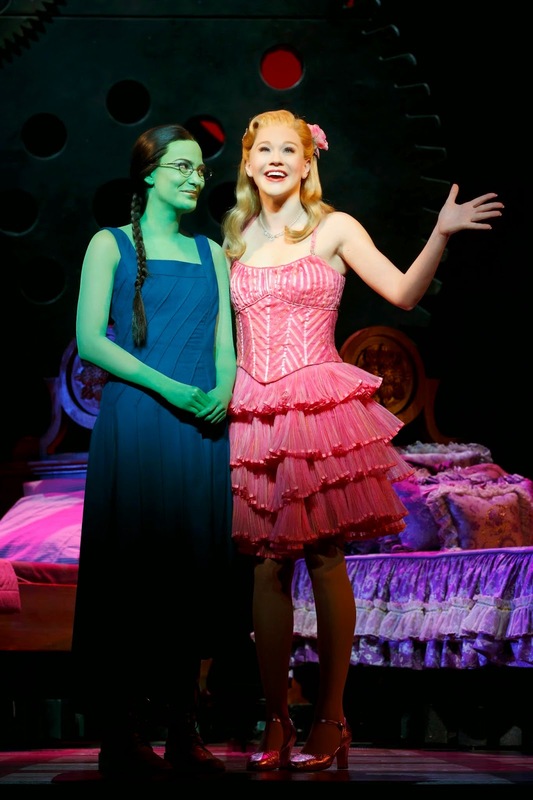 Wicked is on stage at The Fox Theatre now through Sunday, March 8, but get your tickets now. Some performances have already sold out! The creativity of a story of a two girls' unlikely friendship and the intricacies interwoven into a solidly established story of a third girl, who is unseen in this performance although referenced, showcases brilliance of a kind not often experienced. 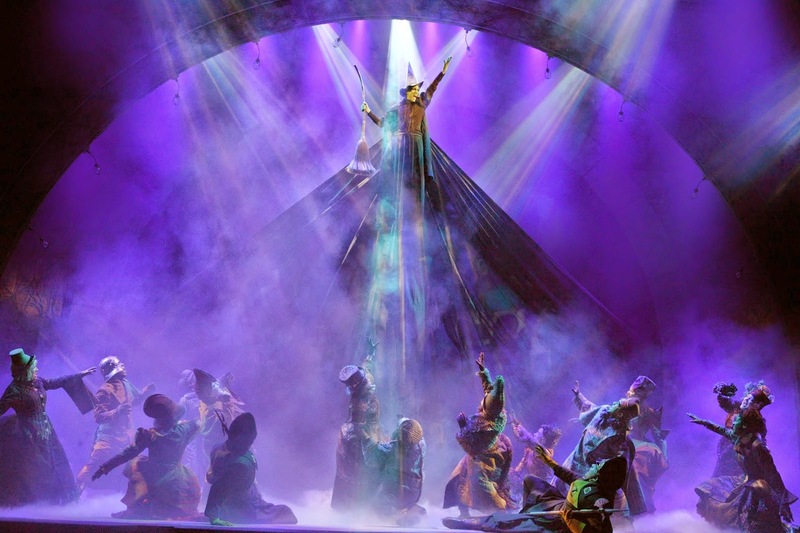 The struggles of coping with being different, a not-so-supportive family, of wanting to do the right thing are all front and center throughout Wicked. But we're shown that "right" doesn't always triumph, but that "good" wins in the end. I'd been following Alyssa Fox on Twitter for a couple of days before the show, so I knew that she'd been dealing with allergies. I was so hoping she would feel well enough to perform the evening I attended the show, but went in expecting to see her standby. Evidently Alyssa takes "the show must go on" to heart. She performed Elphaba brilliantly. Alyssa's attention to detail in her performance is outstanding. Even the gestures she makes with her hands are telling of the forthcoming transition into the Wicked Witch of the West. By the final number in Act I, Defying Gravity—one of my two favorite songs in the show, and one I've heard approximately a bazillion times—you could tell that her allergies were affecting her voice. When we returned from intermission and it was announced that Emily Koch would perform the role of Elphaba in Act II, the audience gave up a fantastic ovation for Alyssa...she had given a remarkable performance. Emily was also awesome! Check it out...you can "Elphaba Yourself! "Definitely by bubble. It's too cold to take a broom," was the text I sent my best friend Barry, answering my own earlier question on how we would be traveling that evening in the below-freezing temperatures to see Wicked at The Fox Theatre. It may have been cold outside, but it was wickedly hot on stage! The performances, that is...the theatre itself was quite comfortable. 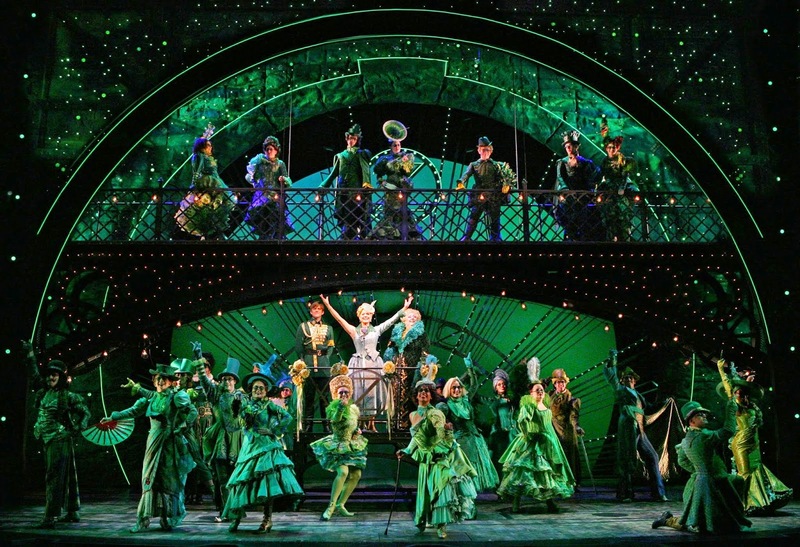 Glinda's "Bubble" is one of my favorite elements in the overall magnificent set design. Between bubbles and brooms and houses and winged monkeys, there's an awful lot of flying in this story! 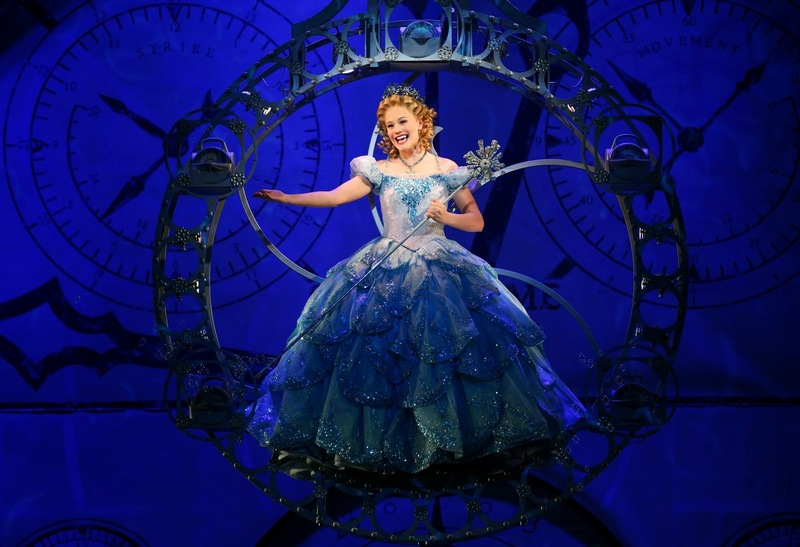 Carrie St. Louis as Glinda is the doll of the show and delightfully, perfectly funny. And she's rather inventive with regards to vocabulary. Watching other Glinda performances on YouTube, I like Carrie's the best. In a Julie Bookman interview with John Davidson (The Wonderful Wizard of Oz), she said he shared, "the story introduces nuggets of things we know from the iconic 1939 film and makes sense of loose ends. It also has a message of equal rights, acceptance and how we treat—or mistreat—others." And the Wicked story line is just that. Well, that and a friendship that we previously knew nothing of. But I feel the obvious points being made in the otherwise hilarious, dramatic, and romantic story is indeed that of acceptance and equal rights. A green girl and a talking goat help bring to light those profound issues, still quite alive in today's "civilized" society. I was so very much looking forward to seeing "Popular" performed again. One of my favorite songs from the show, it's performed exquisitely, with fervent humor...I honestly don't know which I enjoyed more, the song or the humor of it. 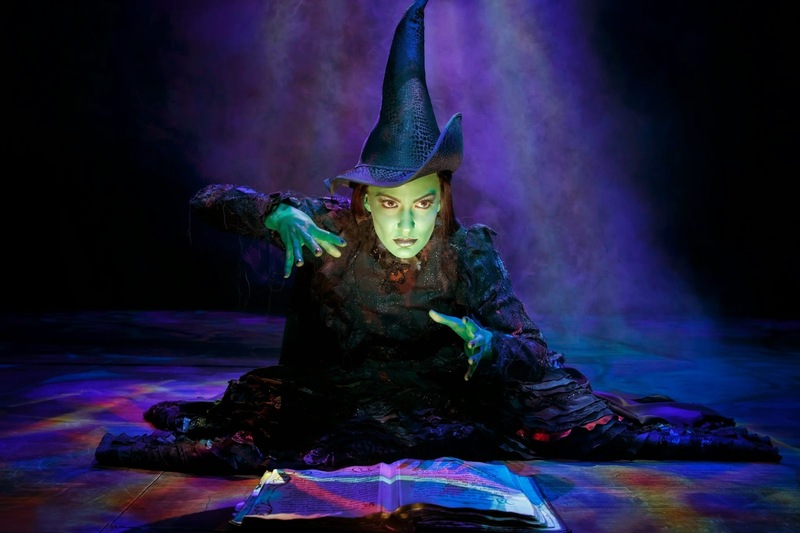 By the way, did you know that Wicked author Gregory Maguire got the name Elphaba by combining the initials of L. Frank Baum, the author of the book that started it all? Read the playbill the ushers give you...there are all kinds of gems like that within its pages! Drama! Why write across the sky when you can take up the entire stage! I love the unexpected—and quite creative—elements used to demonstrate the dramatic ebb and flow of emotional variations felt by the characters, as well as a fantastic amount of grandeur. Wait until you see the flying monkeys! In a 1995 book review, The New York Times blasted the book Wicked as "deadly dull". While that paper's reviewers are far superior writers than I may be, everyone I know who read the book back then, and even now, rave about how wonderful it is. And I'm sorry, but how could such a dull story sell 42 million tickets? My point is, don't believe everything you read. Enjoy what you like. Period. The love interest of Glinda and Elphaba was the ever so handsome, even if not-so-bright, Fiyero, played by Ashley Parker Angel. Again, kudos to the writers...respectful of the film we grew up with and loved first—The Wizard of Oz—the stage performance of Wicked honors that movie, while telling another story, even more dramatic, proposing other possibilities. I found myself quite pleased with the "person" Fiyero turned out to be in the end. 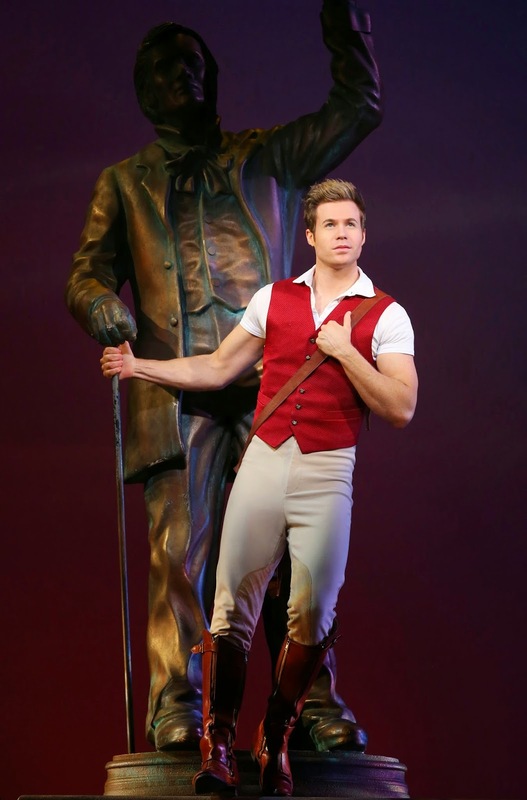 Perhaps Fiyero's best line: "It's not lying, it's looking at things another way." I'd seen the billboard for Wicked in Times Square in New York City many years ago, and have the typical tourist photos of said billboard. 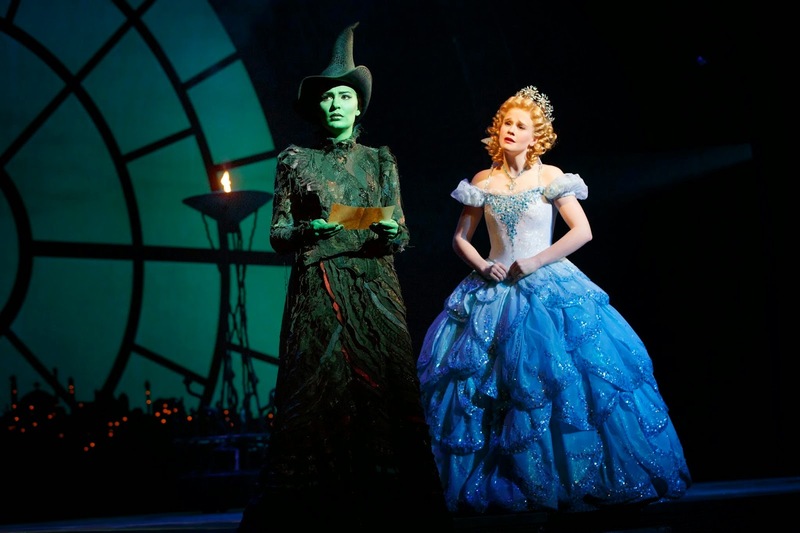 But, it wasn't until later when on a business trip in Chicago that I saw Wicked on stage, at the The Oriental Theatre. It was magical! And I've wanted to see it again since. With that said, I think I was more excited this time around about Barry seeing it for the first time. All of our other close friends have seen it, but somehow Wicked had not made Barry's extensive list of "seen-it" Broadway shows. You can imagine how hopeful I was that he'd enjoy it. And that he did. Having seen Wicked once before, I didn't research the show in depth before enjoying it at The Fox Theatre. When Barry picked up that the performer who portrayed The Wonderful Wizard of Oz sounded like someone he'd seen perform before—as a game show host, he was thinking Hollywood Squares and that the actor had had his own television show for a time—and Barry was absolutely correct! 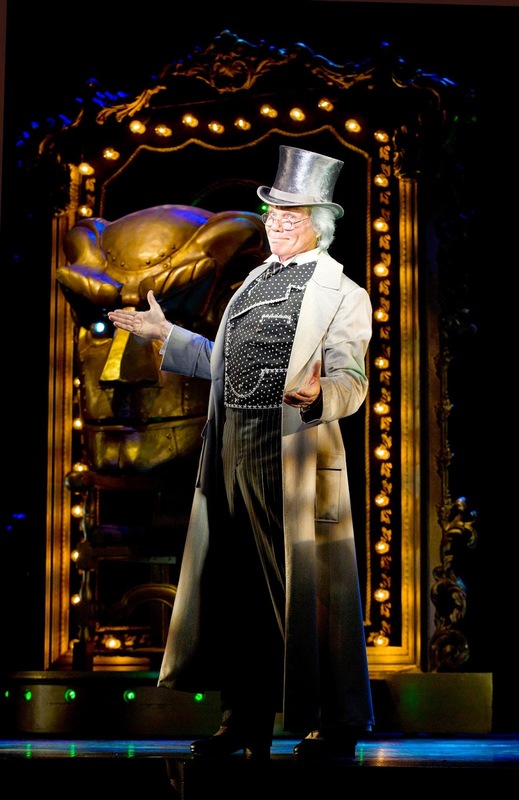 The Wonderful Wizard of Oz is performed by John Davidson, who at 73 has had a remarkable and varied career...quite by design, actually. The feature story in the playbill, authored by the awesome writer Julie Bookman, is titled "The Man Behind the Curtain". Do read this story. Even though Davidson is only on stage for a total of 17 minutes, his role is vital to the story. That he acts and sings brilliantly during those 17 minutes is quite wonderful. I was very much looking forward to seeing the sets again! For the Chicago performance I saw I was seated fifth row center, which practically put me on stage with the sets, costumes and actors...all of which are magnificent! The costuming for this show is outstanding, and that's an understatement. I do believe that my favorite costumes are those of the denizens of Oz. The range of greens and angles and curves, the hats and hair and accessories...magnificent, every bit of it! "Thank you, thank you, thank you" to Brave Public Relations, Broadway in Atlanta and The Fox Theatre for inviting and ticketing me for the Atlanta Press Night performance of Wicked. For my readers, know that my reviews, recaps, and stories are completely my own and are influenced only by the experience I've personally had. 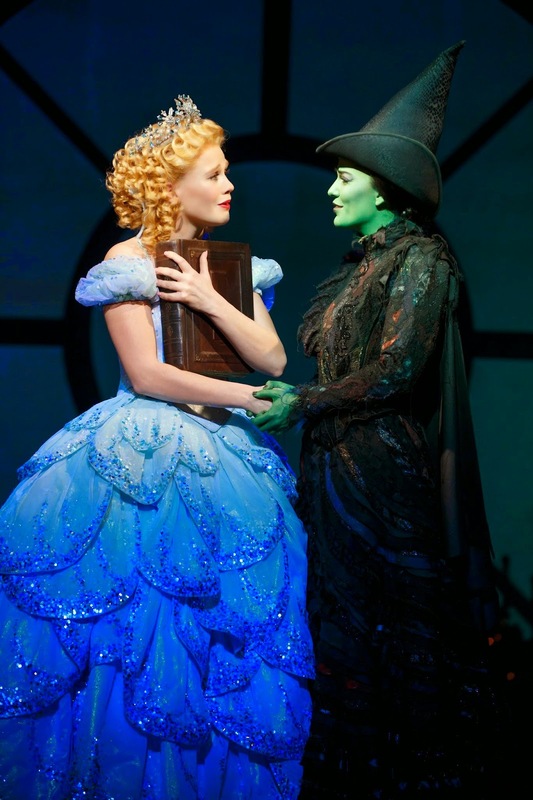 Wicked is playing at The Fox Theatre through Sunday, March 8, 2015. Whether by broom, bubble, train, car or your own two feet, get yourself to The Land of Oz and see this remarkable, heartwarming show. Good to see John Davidson on TV this am;quite by chance. Will see him and and Wicked @ the fabulous Fox!